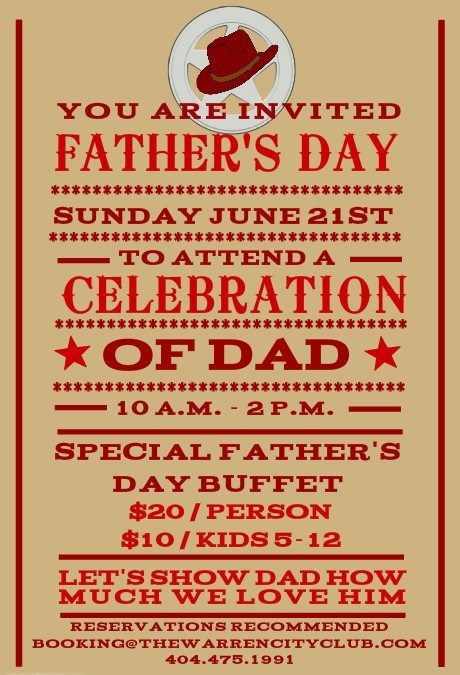 Father’s Day is only a few weeks away and this year we’re doing something a little different! The Warren will be serving our fabulous brunch menu from 10-2 on Sunday, June 19th, but we’ve added a little spice to it. This year we will have specials including Chef Taylor’s fabulous Prime Rib, as well as old favorites like our $10 bottomless mimosas- the best deal in Atlanta! We aren’t stopping there though, beginning at 2 pm until 4, the club will switch over to our second event of the day- Pasties and Pastries. 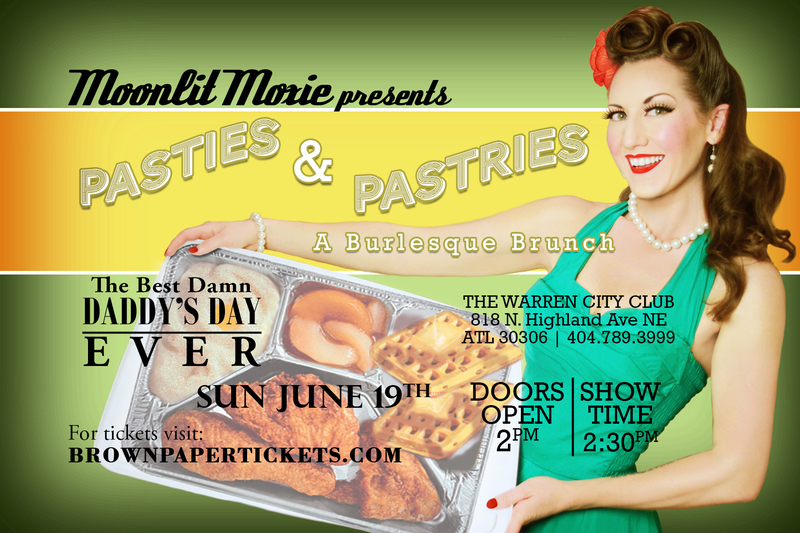 The lovely ladies of Moonlit Moxie Burlesque will be debuting their Burlesque Brunch, just in time for Dad’s day! Already a huge hit in cities around the US, The Warren is excited to be a part of Atlanta’s first Brunch Burlesque show and we want everyone to experience it! Avoid the boring old standards of socks and ties for dad, and give him something he’ll actually enjoy this Father’s Day. Call or click today to reserve your spot. It’s going to be the best damn dad’s day ever! Don’t Forget Dad this Father’s Day! Seating will start at 10am and run until 2pm, which is when we will take our last reservation. 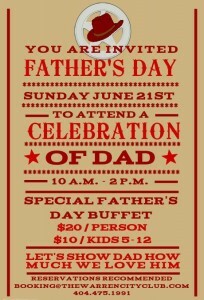 We will be serving our delicious bottomless mimosas, plus a few extra specialty drinks just for dad’s day. 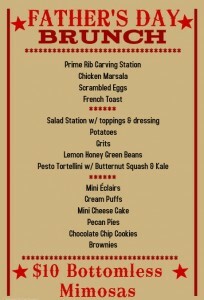 Call today to make your reservations! In a world that often tells you that you can’t, let’s take a day to remember the guy that always told you that you could. Happy Father’s Day to all of the dad’s out there that pushed us to be all that we could be. Thanks Dad!